WACO—“God is bringing the mission field to us,” Rani Espanioly, a cross-cultural mobilizer with Texas Baptists, said as he looked across the crowd of women and men gathered for WMU of Texas’ Annual Meeting and Missions Celebration. The conference took place on April 5-6 at First Woodway Baptist Church. Espanioly, an Arab-Israeli Christian, came to Texas in 2011, where he now works as a missionary to different people groups in Texas. Like many of the other missionaries and program leaders invited to speak at the conference, Espanioly discussed the importance of spreading the hope of the Gospel to unreached people across the state of Texas. Tamiko Jones, Executive Director-Treasurer of WMU in Texas, agreed with Espanioly. “We have a hope that our world needs in times like these…we believe that God is not done,” she said. With this hope comes a responsibility for Christians, Jones explained. Followers of Christ are called to pursue others and share the hope of salvation with the nations. Discussing the conference theme of “Pursue,” Jones shared that the meaning described how God pursues His followers, but also that His followers should be pursuing Him. Furthermore, God is pursuing others, and He desires His followers to pursue them as well. Jones also introduced “Passport to Hope,” a new way to share mission and ministry stories. Participants can send in stories to WMU with their name, event, and location. Each story will earn a stamp in their passport, which can be collected at the next annual meeting. Participants are encouraged to write details about their events under each stamp to remember how God has worked throughout the year. 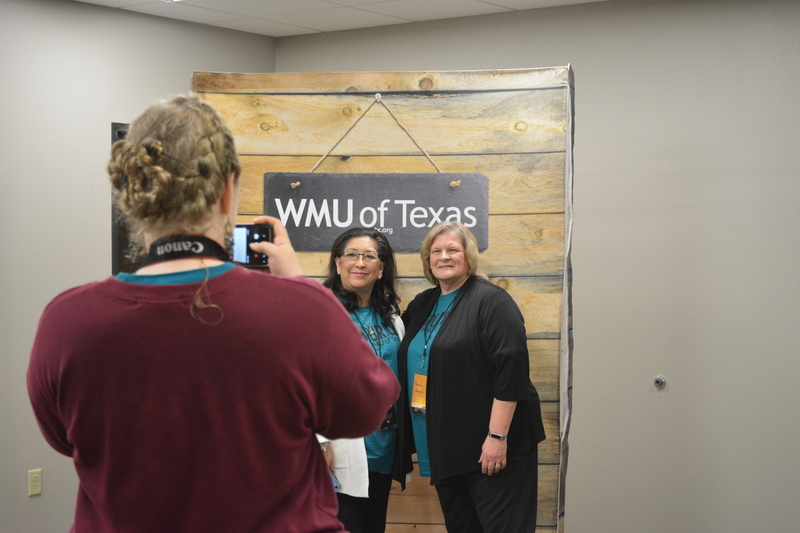 In business, Earl Ann Bumpus, of First Baptist Church of Graham, was elected president of WMU of Texas; Elida Salazar, of Carrizo Springs, was elected vice president; and Susan Morgan, of Houston, was elected secretary. At one breakout session, Ruth Ortiz, a Texas Baptists River Ministry missionary, discussed the importance of ministering to immigrants along the Texas/Mexico border. After passing through immigration, many people are left at a Greyhound bus station with no money and no way of contacting relatives. Ortiz explained that these bus stations are important ministry points. There is a desperate need for supplies, ranging from food to diapers to toiletries. During another session, newly elected president Bumpus, shared about the opportunities to spread hope through mission work in Texas. The Mary Hill Davis Offering enables many of the ministries around Texas to take place, such as Baptist Student Ministry (BSM) and church planting. Despite its invaluable nature, only a small percentage of Texas Baptists churches give to this offering. 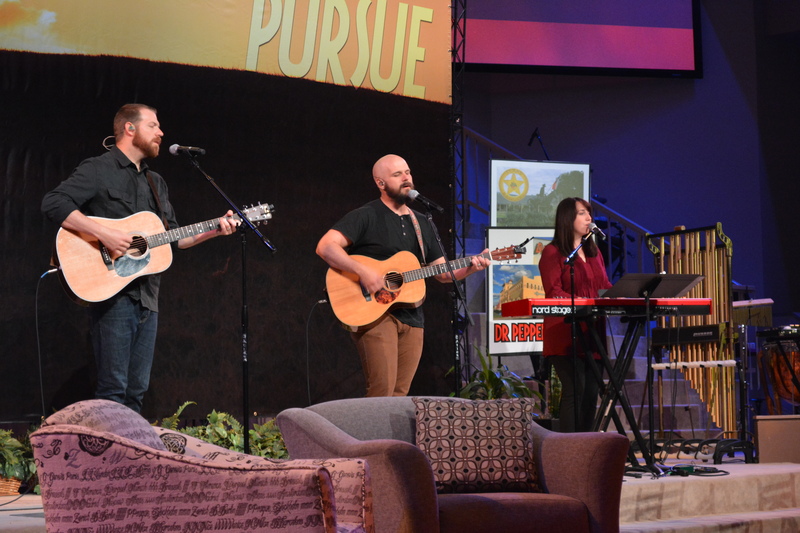 Bumpus encouraged attendees to involve their churches in the offering so that it may continue supporting missions around the state. She reminded those in attendance that the goal of WMU and its ministries is not to bring glory to themselves, but to God. Most importantly, WMU must continue to be involved in ministry and missions, especially in these changing times.